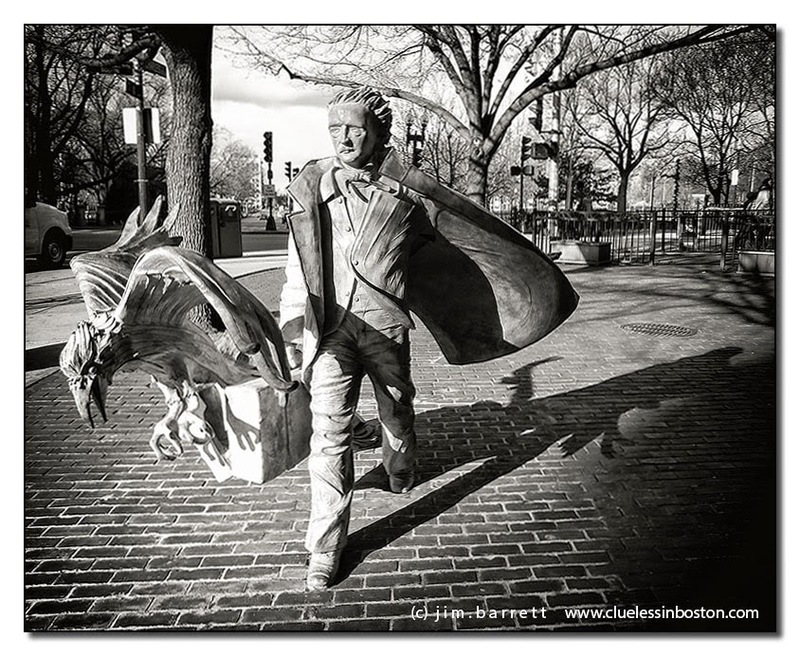 On October 5, 2014, "Poe Returning to Boston" was unveiled at Edgar Allan Poe Square (the corner of Boylston Street and Charles Street South in Boston). Artist Stefanie Rocknak designed the life-sized statue of the writer. Its funding and installation were overseen by the Edgar Allan Poe Foundation of Boston in honor of the writer's birth in this city on January 19, 1809. I like it very much !The shadow makes it impressive , especially with the raven . I didn't know about this, nor did I know that Poe was born in Boston. I hope I remember next time I am in Beantown. Nice capture! I like how eerie his shadow looks too!